Full disclosure. 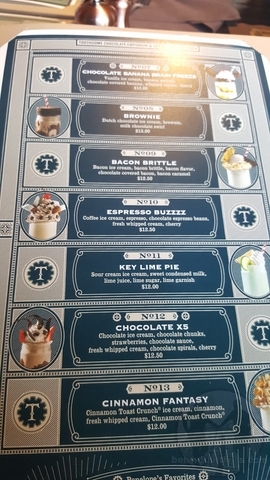 I’m pretty much in love with the new Toothsome Chocolate Emporium at Universal Orlando. 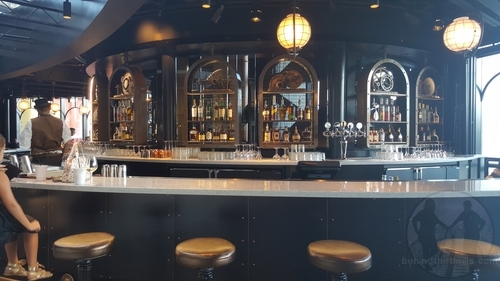 The new venue replaces NBA City in CityWalk with an all new concept that builds on fine dining and the theme of a time travelling chocolatier who happens to be from a time where Steampunk was the norm. 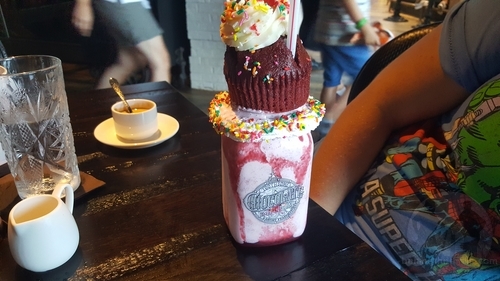 On top of that, Universal takes what could be a tired concept (boutique milkshakes) and makes it completely work within this new experience. The end result is one of the most amazing restaurant experiences ever crafted, using chocolate as the base of the restaurant, and building up a restaurant that is so unique, it has three separate parts, each as unique and important as the next. 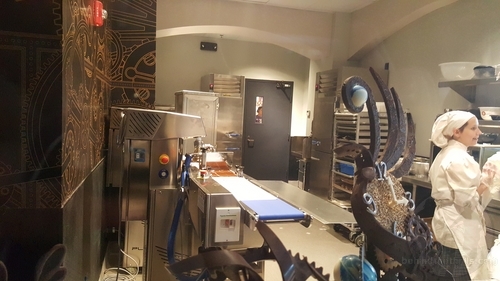 I’ll break down the different parts, and go into each different section, first, get it straight from us as we walk through and review the all new Toothsome Chocolate Emporium our walkthrough video! Video-Toothsome Chocolate Emporium and Savory Feast Kitchen! The restaurant experience consists of the gift shop, the take out counter, and of course the restaurant. 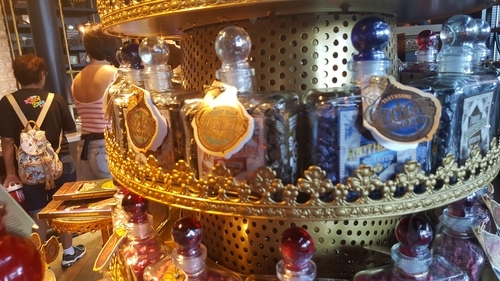 While they are all together, they make up a separate experience, and different part of the Emporium. While it’s not out of the ordinary these days for a restaurant to have a gift shop, it is unique for them to have not only a gift shop, but an entire candy counter. 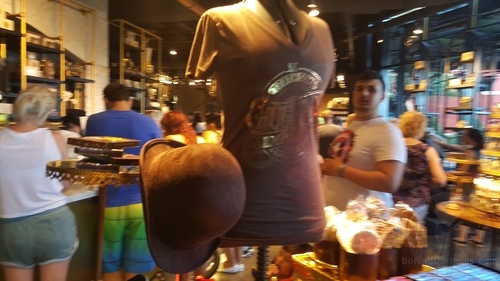 The gift shop sells your typical fare, from t-shirts and hats. They also have a huge variety of delectable delights as well. 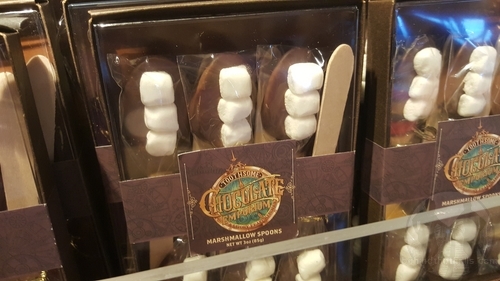 There are tons of different take home treats from gourmet candy bars and chocolate spoons. 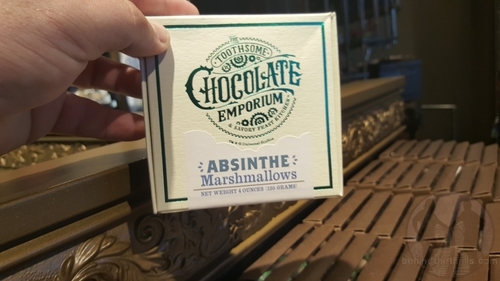 Of course, this isn’t your typical gift shop, and you get things like Absinthe marshmallows, and chocolate gears and pocket watches. Pocket watches. Of course they aren’t functioning watches, but the designs and details are amazing. 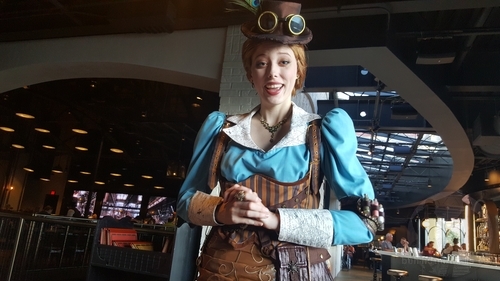 The steam punk vibe runs deep with all the different gifts. 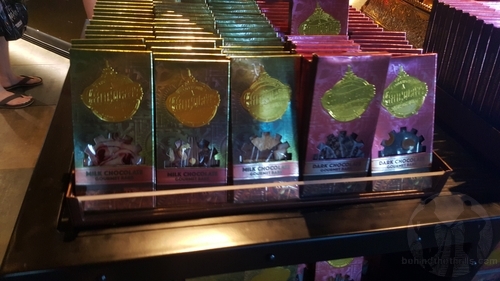 Of course it wouldn’t be a Chocolate Emporium without a candy counter. 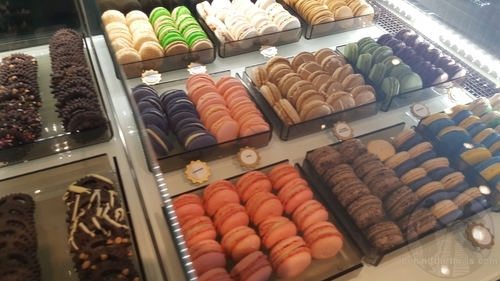 You can choose from dozens of macaroons, and truffles, all with unique flavors and designs. 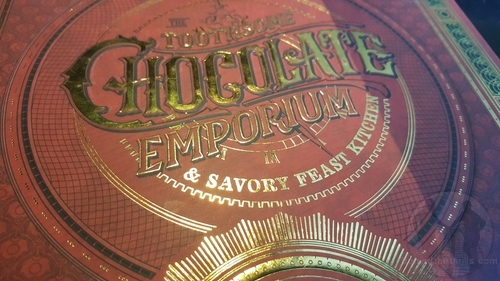 The chocolate here is enough to make you want to skip dinner. Next to the gift shop, we can see chefs toiling away creating some very different desserts. 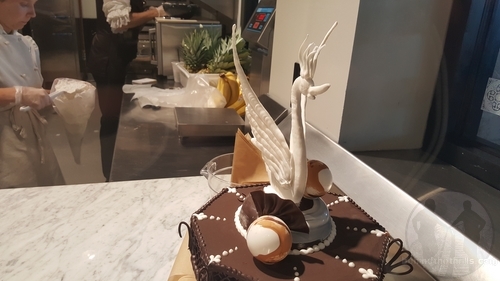 From sculpted chocolates, to clocks and and swans, there are tons of different concoctions always at work. We were told that eventually they will start doing more candy making in the window, as they expand their line up. The ice cream counter is another must stop, especially if you aren’t looking for a full on meal. 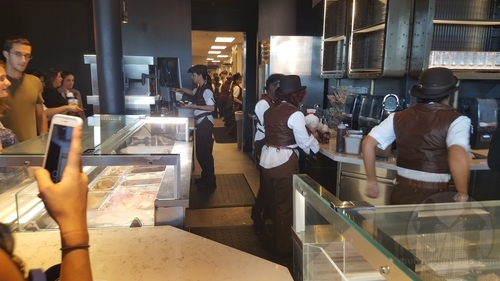 The counter provides milkshakes, and sundaes, as well as sodas and other treats. The milkshakes are the stars of the show, however, as the lines can get pretty long. You place your order, and wait on the side with a pager. Once your shake is ready, you are notified and on your way. There are tables both inside and outside for those not dining. In the restaurant you might get a glimpse of Penelope Toothsome, the proprietor of the Emporium. She’s absolutely delightful as she flits from table to table, regaling guests with tales of her travels and making sure you have everything you need. That’s part of the appeal to the restaurant. 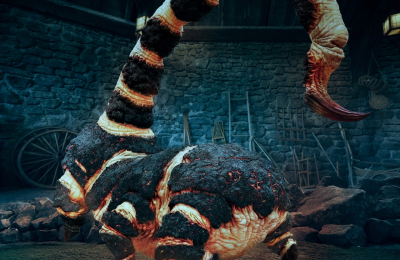 Not only does Toothsome provide some very unique visuals, but the attention to story is amazing here. The story is too long a narrative to get into right now, but just know that she has traveled the world, and through time to bring you a unique experience, where Chocolate is the inspiration for everything. As for the look of the restaurant itself, there’s an 18th century Victorian feel everywhere you look. From the designs of the tables, to the overheads, to even the gears churning on the screens in the background. 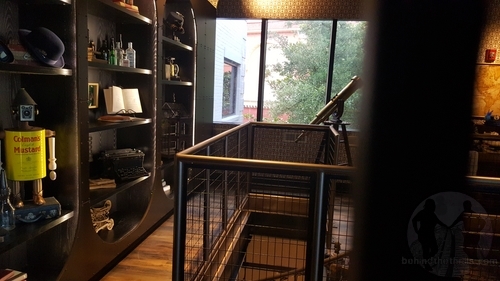 The Emporium exudes a feel of elegance, all while never making you feel out of place in your theme park casual. There’s several bars both upstairs, and down stairs. 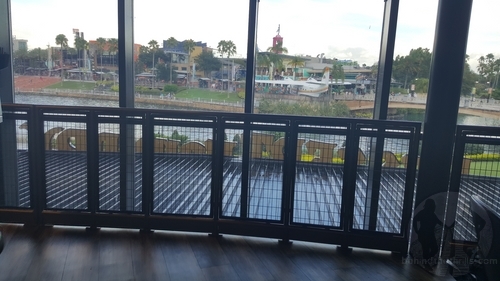 The view from the restaurant upstairs overlooks the rest of CityWalk and the Lagoon, which makes for some amazing views, and a very romantic feel. 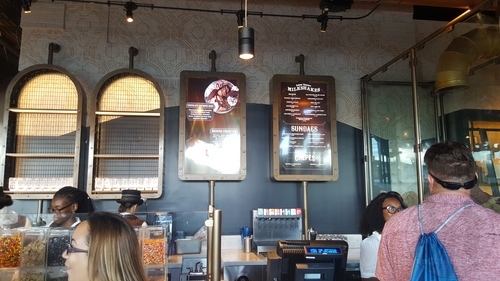 The menu of Toothsome offers literally something for just about every taste. 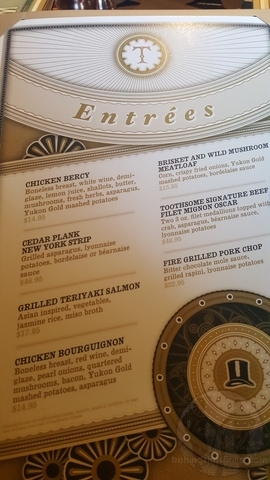 There’s chocolate inspired dishes, vegan dishes, hamburgers, sandwiches and more intricate entrees. The amount of food offered is simply amazing, and kind of astonishing. 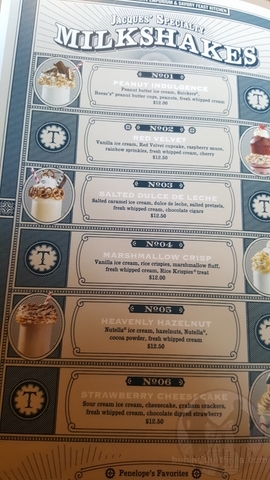 There’s just way too much to go over, but the menu does include a huge variety of both desserts and regular food. 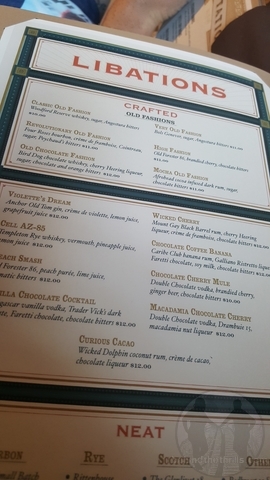 There are also specialty drinks, and a chocolate based beer that is brewed locally and specifically for Toothsome. In fact, we were told by management that a lot of the food is brought in locally, so that Universal can ensure the freshest possible food. It also helps the local economy to support local businesses. 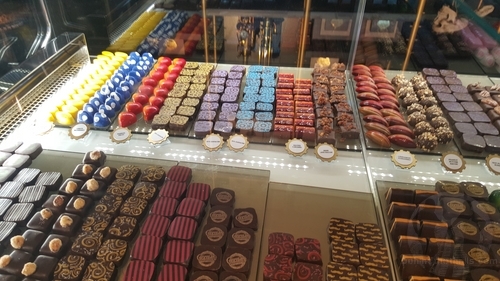 Even some of the chocolates and treats you see in the gift shops and on the menu are created by one of the local chocolatiers in the area. 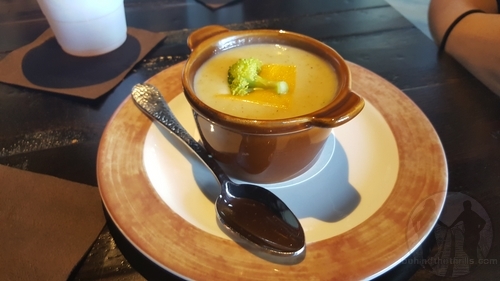 We all tried to get something different, from the broccoli and cheddar soup, to the Southern Fried Chicken BLT and the Chicken Bourguignon. 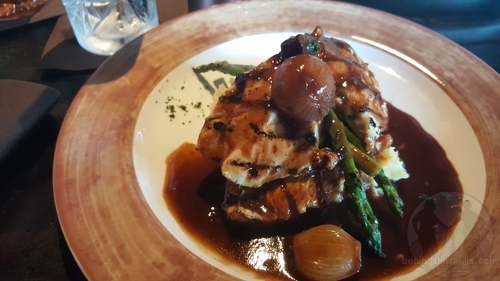 The Chicken Bourguignon is possibly one of the best chicken dishes that I’ve ever had. Prepared with a red wine demiglaze, and caramelized pearl onions, it’s better than it really should be. We had the suggestion from Brian at Orlando United, who was visibly drooling when he made the suggestion. Everything was about as fresh as you could ask for. A side note, asparagus is hard to mess up. It’s also hard to make much better, but I could honestly eat an entire plate of the asparagus that was prepared. And it was that way with ALL the food we had. 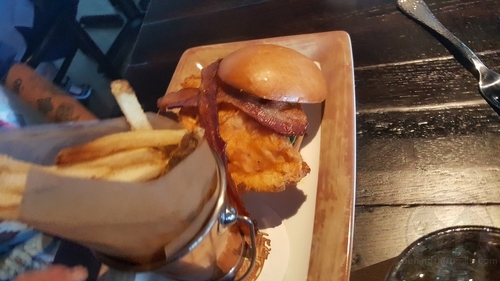 The thing that was amazing here is that no matter if you wanted a sandwich, a burger, or an entree, it was all presented and done in a way that is not your typical restaurant, or even your typical theme park fare. 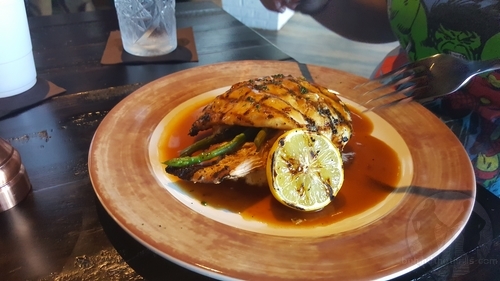 It’s very tasty, and adventurous, without drifting too far into the realm of too gourmet. 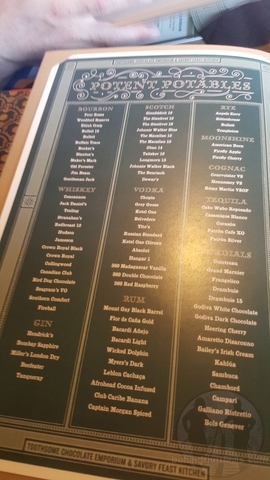 Toothsome knows the clientele that will be coming through the restaurant, and succeeds in giving everybody enough of a choice to satisfy everyone. We moved on to dessert and the legendary milkshakes we had heard so much about. Were they the stuff that dreams are made of, or were they just so-so, as so many other websites have said? The top is the Red Velvet Milkshake. They take an entire Red Velvet cupcake, mix it in with the milkshake, and top it with whip cream, icing, and another red velvet cupcake. The second we tried was the chocolate banana. Chocolate and banana mixed together, with banana sauce, topped with chocolate ganache, whipped cream and entire chocolate covered banana. How were they? We all really loved the red velvet cupcake. The chocolate banana was really thick on the banana and rich in the chocolate. You have to be REALLY into the two in order to go crazy over it. That’s not to say it wasn’t good, it was amazing, but in the case of the chocolate banana, it was a lot to handle. The red velvet was nothing short of amazing. Now here’s where a lot of the divide is probably coming over. The milkshakes are different from what you’re used to. You’re used to very thick, very ice cream oriented milkshakes. Stuff that has been done over a million times already. Toothsome milkshakes aren’t your typical shakes, and they certainly haven’t been done before. They’re rich in flavor, though sometimes a little thin. That’s not a bad thing at all. The red velvet milkshake would not be as amazing as it was if it was a lot thicker. It’s the chunks of cupcake and the ice cream mixed so perfectly together that brings out the flavor in a big way. Super thick? 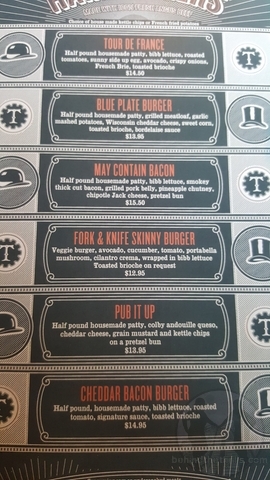 Try your typical burger joint. Unique and flavorful? Toothsome has you covered. The other big dessert items were the sundaes. The sundaes are godly. They are huge, full of ice cream, and they don’t try to take you in a million different directions. You want peanut butter, they are going to drown you in peanut butter flavor, but not over power you. Does that make sense? Let’s try to break it down. The sundaes, like the shakes, all have a unique flair to them. The one we chose was the “May Contain Nuts”. 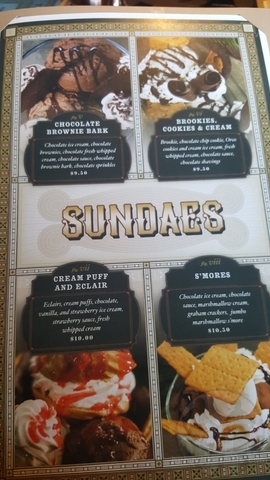 There are eight sundaes in all, and each one with a different take on a distinct flavor. May Contain Nuts goes the peanut butter route. 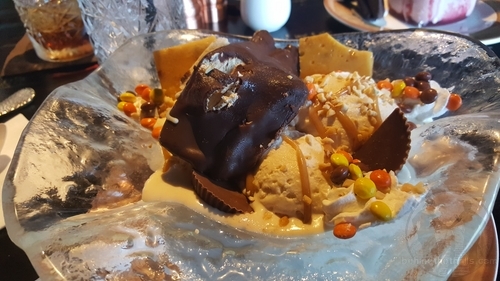 You have peanut butter ice cream, with a caramel peanut butter drizzle, and some added peanuts. But they take it a little more of the crunchy route and keep you interested with hand made peanut brittle. 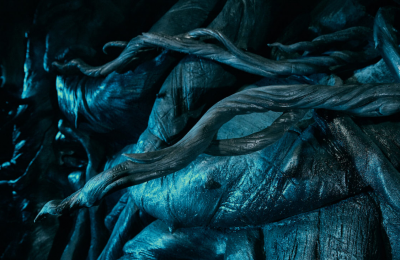 Then they bury you with the chocolate flavor of Reese’s Peanut Butter Cups. If that isn’t enough chocolate, they add a peanut butter diamond, which is chocolate covered, peanut butter cheesecake. It gives yet another layer of flavor. To top it all off you have the sweet and crunchy of Reese’s Pieces candies all over the place. A lot of peanut butter? Yes, but I never felt like I was done with peanut butter. I don’t know exactly how, but Toothsome made me want MORE peanut butter. I’m actually anxious to find out what the rest of the sundaes and shakes taste like as we will definitely be back. This will make for one hell of stop during Horror Nights. 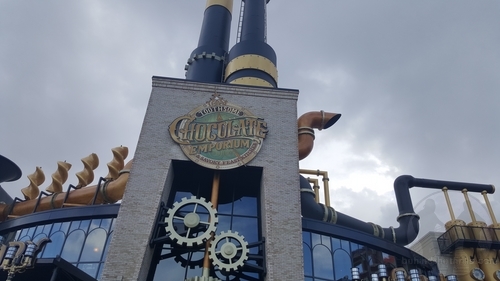 Slideshow-Check out even more pictures from Toothsome Chocolate Emporium! Now, I know what you’re saying… “You were paid to say this”. ACTUALLY, NO. 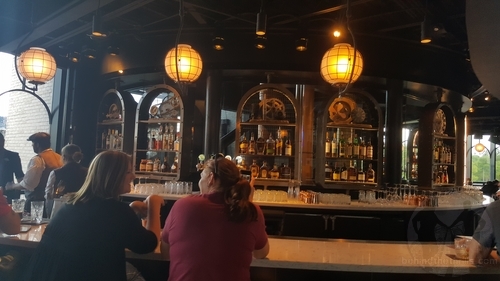 The restaurant is under soft openings now, which means that they are getting the hang of things, and trying out different items here and there. We happened to be celebrating my nephew’s fourth birthday. Unfortunately, he had such a big day of adventuring and fun at Universal that he didn’t make it to dinner. 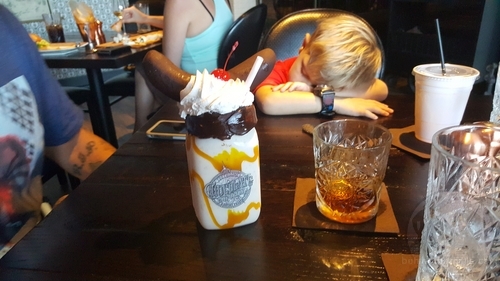 You’ll see pictures of food and everything, with this guy passed out in the background. We thought the “Chocolate Factory” (as he called it) would be the perfect end to the day for him, so we went in, getting out of the rain. 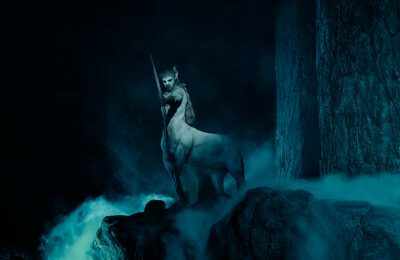 This leads me to the next point. 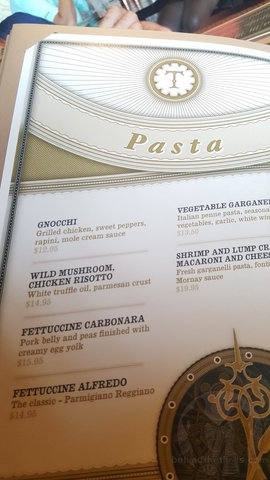 When you go to a theme park restaurant, you’re expecting to pay a good amount for mediocre food and rushed service. 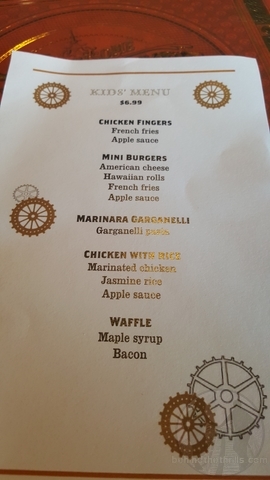 The entrees were moderately priced, as were the burgers and everything else. Not to say it was cheap by any means, but it wasn’t a bank breaker either. The milkshakes were a little high, but honestly completely worth it, as they are just huge! 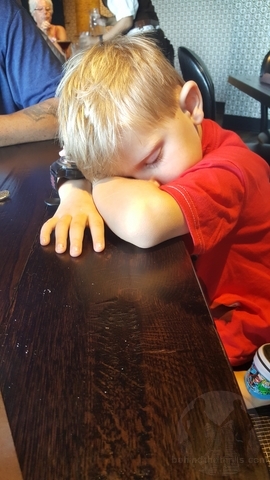 The service was also amazing, with our server Alexander just going above and beyond, trying to make everything special for the little guy, even after he fell asleep. It was that kind of attention that was simply amazing, and will keep us coming back. 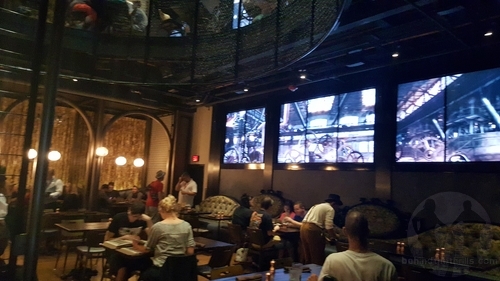 The grand opening date has not been set for Toothsome’s, but until then you can still experience the restaurant as it under goes technical rehearsals. Previous PostTower of Terror Checks out of Disney California Adventure Jan. 2, 2017 Next PostUniversal Orlando prepares for HHN, Jimmy Fallon and more!